Krishna Veni Nagam Vs. Harish nagam . 1. This transfer petition has been filed for transfer of Case No.179A/2013 u/s 13 of the Hindu Marriage Act, 1955 (the Act) titled “Harish Nagam vs. Krishna Veni Nagam” pending on the file of II Presiding Judge, Family Court, Jabalpur, Madhya Pradesh to the Family Court Hyderabad, Andhra Pradesh. 2. Case of the petitioner-wife is that she was married to the respondent- husband in the year 2008 at Kukatpally, Hyderabad. She was blessed with a girl child in 2009. While living in her in-law’s house at Jabalpur, she was ill-treated. She was subjected to mental and physical torture. She suffered injury on her spinal cord. She left the matrimonial home in 2012. 3. The respondent-husband filed application for restitution of conjugal rights which was later on got dismissed as withdrawn. Thereafter, a divorce petition has been filed at Jabalpur while the petitioner has filed a domestic violence case at Hyderabad. Since the petitioner-wife, along with her minor daughter, is living with her parents, she cannot undertake long journey and contest the proceedings at Jabalpur by neglecting her minor child. She also apprehends threat to her security in attending proceedings at Jabalpur. 4. On 7th January, 2015, notice was issued and stay of proceedings was granted. The matter has been pending in this Court for more than two years. 6. Thus, the question is whether an order can be passed so as to provide a better alternative to each individual being required to move this Court. 7. We have already noted that large number of transfer petitions of the present nature are being filed in this Court and are being mechanically allowed. 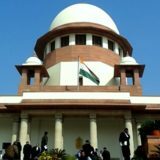 Similar observation was made by this Court more than 10 years ago in Anindita Das v. Srijit Das “On an average at least 10 to 15 transfer petitions are on board of each court on each admission day.” It has also been observed in a number of cases that in absence of any male member being available to accompany the wife who is party to matrimonial proceedings to a different place, it may render it “expedient for ends of justice” to transfer proceedings. 8. Of course in some cases, it was observed that instead of proceedings being transferred, the husband should pay travel, lodging and boarding expenses of the wife and/or person accompanying for each hearing. This trend has also been followed in other matrimonial disputes, including guardianship dispute, etc. 9. Spirit behind the orders of this Court in allowing the transfer petitions filed by wives being almost mechanically allowing is that they are not denied justice on account of their inability to participate in proceedings instituted at a different place on account of difficulty either on account of financial or physical hardship. Our Constitutional scheme provides for guaranteeing equal access to justice, power of the State to make special provisions for women and children and duty to uphold the dignity of women. Various steps have been taken in this direction. 10. As noted in the Order dated 9th January, 2017 quoted above, Section 19 of the Act permits proceedings to be filed not only at a place where the wife resides but also at place where marriage is solemnized or the place where the parties last resided together. It is mostly in the said situations that the wife has hardship in contesting proceedings. At the same time, under the law the husband is legally entitled to file proceedings at such places. Territorial jurisdiction of court is statutorily laid down in C.P.C. or other concerned statutes. 11. Accordingly, we have heard Shri C.A. Sundaram, learned senior counsel as amicus curiae. Learned amicus has suggested that Section 19 of the Act should be interpreted to mean that the jurisdiction at the place other than where wife resides being available only at the option of the wife or that such jurisdiction will be available in exceptional cases where the wife is employed and the husband is unemployed or where the husband suffers from physical or other handicap or is looking after the minor child. Even though we are unable to give such interpretation in the face of plain language of statute to the contrary and it is for the legislature to make such suitable amendment as may be considered necessary, we are certainly inclined to issue directions in the interest of justice consistent with the statute. 12. Mr. Nadkarni, learned Addl. Solicitor General has suggested that it will be appropriate to give some directions to meet the situation. He submitted that paramount consideration in dealing with the issue ought to be the interest of justice and not mere convenience of the parties. Thus, where husband files a petition at a place away from the residence of the wife, the husband can be required to bear travel and incidental expenses of the wife, if it is so considered appropriate in the interest of justice. At the same time, if the husband has genuine difficulty in making the deposit, proceedings can be conducted by video conferencing. At least one court room in every district court ought to be equipped with the video conferencing facility. The interest of the minor child has also to be kept in mind along with the interest of the senior citizens whose interest may be affected by one of the parties being required to undertake trips to distant places to face the proceedings. Protracted litigation ought to be avoided by better management and coordination so that number of adjournments can be reduced. 14. One cannot ignore the problem faced by a husband if proceedings are transferred on account of genuine difficulties faced by the wife. The husband may find it difficult to contest proceedings at a place which is convenient to the wife. Thus, transfer is not always a solution acceptable to both the parties. It may be appropriate that available technology of video conferencing is used where both the parties have equal difficulty and there is no place which is convenient to both the parties. We understand that in every district in the country video conferencing is now available. In any case, wherever such facility is available, it ought to be fully utilized and all the High Courts ought to issue appropriate administrative instructions to regulate the use of video conferencing for certain category of cases. Matrimonial cases where one of the parties resides outside court’s jurisdiction is one of such categories. Wherever one or both the parties make a request for use of video conference, proceedings may be conducted on video conferencing, obviating the needs of the party to appear in person. 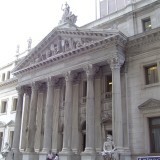 In several cases, this Court has directed recording of evidence by video conferencing. 15. The other difficulty faced by the parties living beyond the local jurisdiction of the court is ignorance about availability of suitable legal services. Legal Aid Committee of every district ought to make available selected panel of advocates whose discipline and quality can be suitably regulated and who are ready to provide legal aid at a specified fee. Such panels ought to be notified on the websites of the District Legal Services Authorities/State Legal Services Authorities/National Legal Services Authority. This may enhance access to justice consistent with Article 39A of the Constitution. 16. The advancement of technology ought to be utilized also for service on parties or receiving communication from the parties. Every district court must have at least one e-mail ID. Administrative instructions for directions can be issued to permit the litigants to access the court, especially when litigant is located outside the local jurisdiction of the Court. A designated officer/manager of a district court may suitably respond to such e-mail in the manner permitted as per the administrative instructions. Similarly, a manager/ information officer in every district court may be accessible on a notified telephone during notified hours as per the instructions. These steps may, to some extent, take care of the problems of the litigants. These suggestions may need attention of the High Courts. 18. We, therefore, direct that in matrimonial or custody matters or in proceedings between parties to a marriage or arising out of disputes between parties to a marriage, wherever the defendants/respondents are located outside the jurisdiction of the court, the court where proceedings are instituted, may examine whether it is in the interest of justice to incorporate any safeguards for ensuring that summoning of defendant/respondent does not result in denial of justice. Order incorporating such safeguards may be sent along with the summons. The safeguards can be:- i) Availability of video conferencing facility. ii) Availability of legal aid service. iii) Deposit of cost for travel, lodging and boarding in terms of Order XXV CPC. iv) E-mail address/phone number, if any, at which litigant from out station may communicate. 19. We hope the above arrangement may, to an extent, reduce hardship to the litigants as noted above in the Order of this Court dated 9th January, 2017. However, in the present case since the matter is pending in this Court for about three years, we are satisfied that the prayer for transfer may be allowed. Accordingly, we direct that proceedings in Case No.179A/2013 under Section 13 of the Act titled “Harish Nagam vs. Krishna Veni Nagam” pending on the file of II Presiding Judge, Family Court, Jabalpur, Madhya Pradesh shall stand transferred to the Family Court, Hyderabad, Andhra Pradesh. If the parties seek mediation the transferee court may explore the possibility of an amicable settlement through mediation. It will be open to the transferee court to conduct the proceedings or record evidence of the witnesses who are unable to appear in court by way of video conferencing. Records shall be sent by court where proceedings are pending to the transferee court forthwith. 20. The Registry to transmit a copy of this order to the courts concerned. A copy of this order be sent to all the High Courts for appropriate action. 21. We place on record our appreciation for the valuable assistance rendered by Mr. Atmaram N.S. Nadkarni, learned Additional Solicitor General and Mr. C.A. Sundaram, learned Senior Advocate. 21. The transfer petition is disposed of accordingly. NEW DELHI; MARCH 9, 2017. ———————–   (2006)9 SCC 197  Mona Aresh Goel v. Aresh Satya Goel (2000) 9 SCC255; Lalita A. Ranga v. Ajay Champalal Ranga (2000) 9 SCC 355; Deepa v, Anil Panicker (2000) 9 SCC 441; Archana Rastogi v. Rakesh Rastogi (2000)10 SCC 350; Leena Mukherjee v. Rabi Shankar Mukherjee (2002) 10 SCC 480; Neelam Bhatia v. Satbir Singh Bhatia (2004) 13 SCC 436; Soma Choudhury v. Gourab Choudhaury (2004) 13 SCC 462; Rajesh Rani v. Tej Pal (2007) 15 SCC 597; Vandana Sharma v. Rakesh Kumar Sharma (2008)11 SCC 768; and Anju Ohri v. Varinder Ohri (2007) 15 SCC 556. Premlata Singh v. Rita Singh (2005) 12 SCC 277  Gana Saraswathi v. H. Raghu Prasad (2000)10 SCC 277   Article 39A of the Constitution of India, 1950. Article 15(3) of the Constitution of India, 1950. Article 51-A(e) of the Constitution of India, 1950.